Oh yes, it’s that time of year again! Get out your American flags, buy an insane amount of food, make world-dividing political decisions and blast Lynyrd Skynyrd out the back of your pickup truck far too loudly because it’s time for the greatest show on turf, Super Bowl 51! And if none of that made any sense, this blog is just what you need. This is your chance to understand why over 100 million people watch this thing every year, why Chris Martin thought he was cool for hanging out with Bruno Mars and Beyoncé and who exactly Tom Brady is. Read on as we preview the biggest sporting event in the world! So if you’ve been living under a rock for the past 51 years, the Super Bowl is the final game of the NFL’s American football season. It pits the winner of the American Football Conference (AFC) against the winner of the National Football Conference (NFC) to see who is the best in the entire NFL. One team’s offence (and yes, you have to pronounce it ‘off-fence’ like a true American) faces the opposition’s defence, they have four chances, or ‘downs’, to make a total of ten yards down the field. If they make the ten yards (or more), they get a fresh set of downs and start their offence from where their last play finished. If they do not make it after four downs then the roles switch and the defending team goes on offence. A touchdown occurs when the offence makes it through to the defending team’s end zone. You get 6 points for a touchdown and 3 if you ‘punt’ the ball between the posts for a ‘field goal’. Trust me, when time’s running out, the offence still has eight yards to make to get to the end zone and it’s third down, you’ll see how easy it is to get wrapped up in all the hype and excitement. Great, so who’s in it this year? This year’s game will emanate from NRG Stadium in Houston, Texas and features the Atlanta Falcons taking on the New England Patriots, in what could be one of the most exciting and offensive-heavy Super Bowl games ever. The Falcons are appearing in only their second Super Bowl ever, the first being back in 1999, falling short to the Denver Broncos. This year could be all different however, as they have a terrifying offensive line covering a fantastic quarterback in Matt Ryan. Is this their time to win the big one? Meanwhile, their opponents, the New England Patriots, are no strangers to Super Bowls. The Pats have been to eight Super Bowls, winning exactly half of them. This is no small feat and is largely due to one of the greatest quarterbacks of all time, Tom Brady and head coach, Bill Belichick. Can this dynamic duo make history once again? And what’s all this halftime business about? One of the biggest drawing aspects in terms of television ratings for the Super Bowl is its halftime entertainment. This is often a musical performance with a few special surprise stars thrown in. This year’s show, however, promises to be a much more extravagant event as everyone’s favourite meat dress wearing loon, Lady Gaga, is set to hit the stage. She’s incredibly talented and not beyond doing something completely mental, sounds like must-watch TV if you ask me. But why do I need so much food? A) Why don’t you need so much food? And B) it’s an American tradition! Super Bowl food typically tends to be things you can pick at throughout the three-hour game. Think chicken wings, pizza, nachos, pizza, BBQ ribs, pizza and pizza. I love Super Bowl night! I know, it’s great isn’t it? Plus, if you do get the American football bug, Coventry University even have a team! The Coventry University Jets are doing big things and are always welcome to new players turning up for a session. For more information, please visit the Coventry Uni Jets area of the CUSU website. 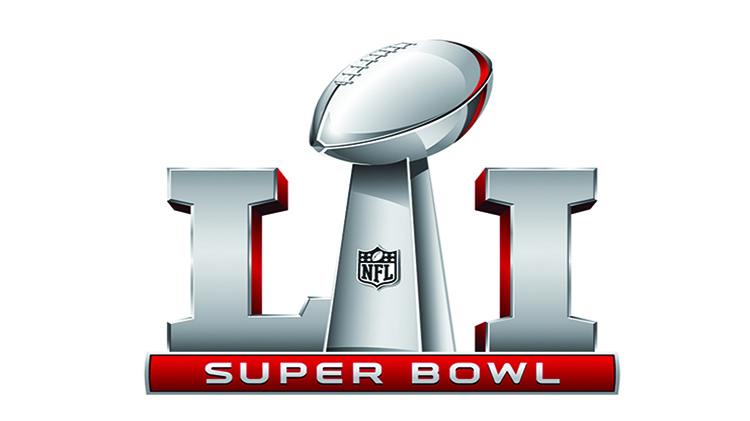 Super Bowl 51 airs live on both BBC and Sky Sports starting at 11.30pm on Sunday 5th February.